The checkerboard pattern has long been associated with Americana. 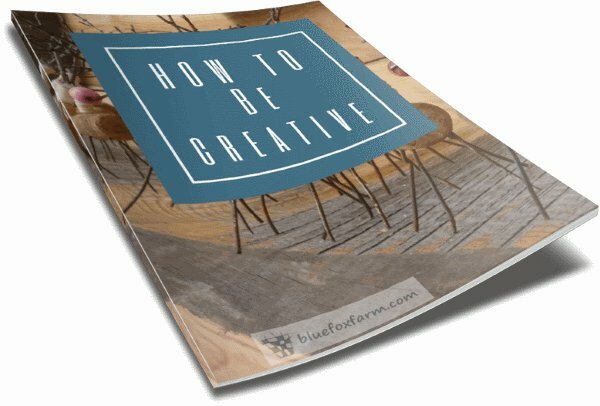 The oldest boards would have been scratched on bark, or in the dirt, so they no longer survive. 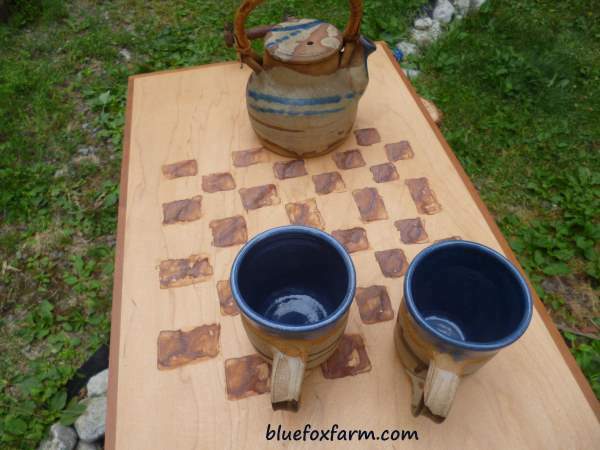 You can make a rustic checkerboard to hang on the wall, or as a tea tray or table top. In one of my gathering phases I ended up with a whole lot of kitchen cabinet doors cast off from renovations or as seconds (those damaged or not good enough to sell). There were a mishmash of styles, one of which are flat plywood edged in a darker type of solid wood. They are birch veneer which is top end material for making kitchen cabinet doors. 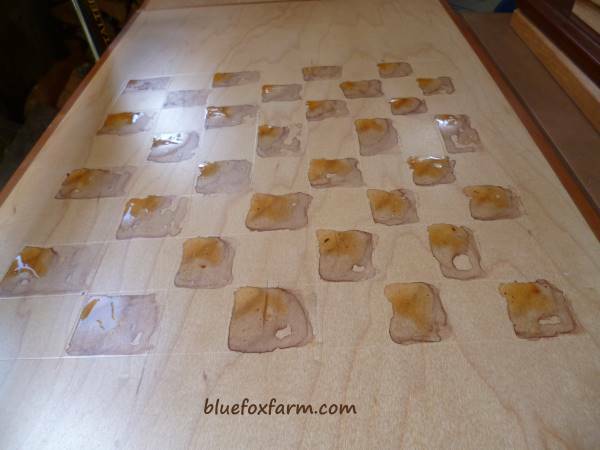 At first I didn't know what they would be good for, but on closer inspection they made the perfect start to a new line of tea trays and table tops. So here's what happened; first, I did some research to find out the correct number of squares for a checkerboard - it turns out it's the same for a chessboard - eight across and eight down, in alternating colours. 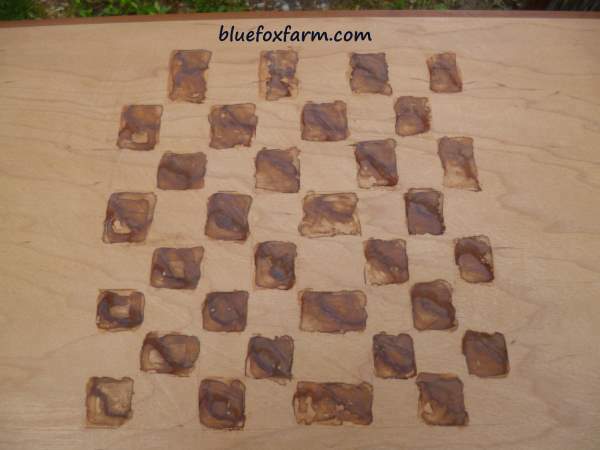 For this particular checkerboard I used the vinegar and steel wool method of staining the wood. 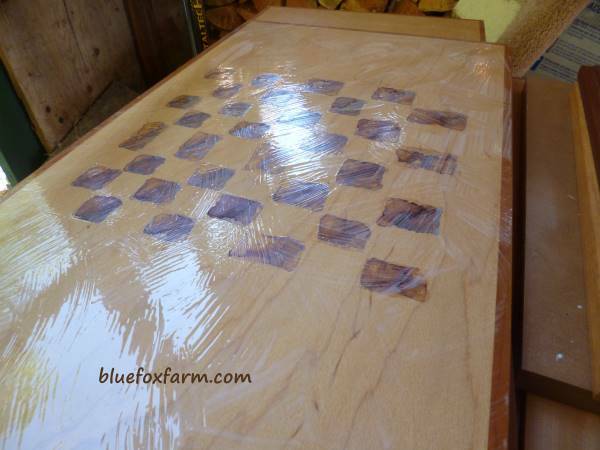 Once the two coats were dry, I used a coat of Varathane Diamond Coat to seal it all. 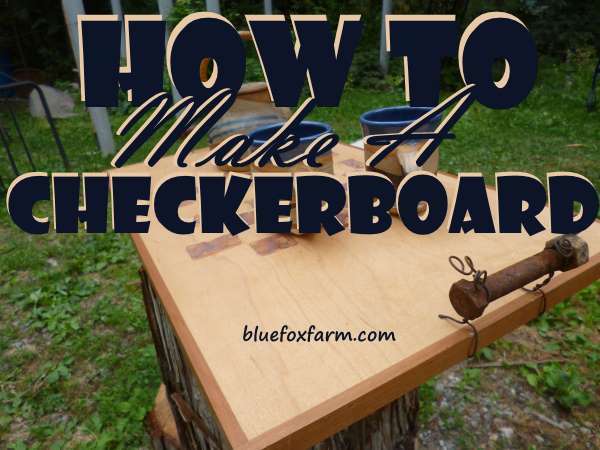 The checkerboard, with one coat of the sealant, will stand up to use as a game board, hung on the wall as a decorative item or as a tea tray. Two coats will make it weatherproof. 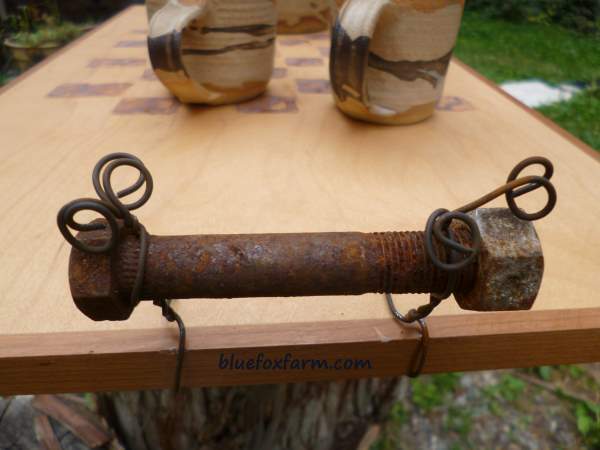 A sleek tray like this should have at least one rustic touch - using rusty bolts wired on with tie wire for the handles adds that in spades.